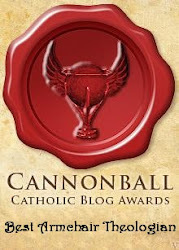 Little Catholic Bubble: Scrupulosity: A little bit of hell. Scrupulosity: A little bit of hell. Do you never feel forgiven no matter how many times you confess your sins? Do you obsess over blasphemous thoughts that invade your mind against your will? 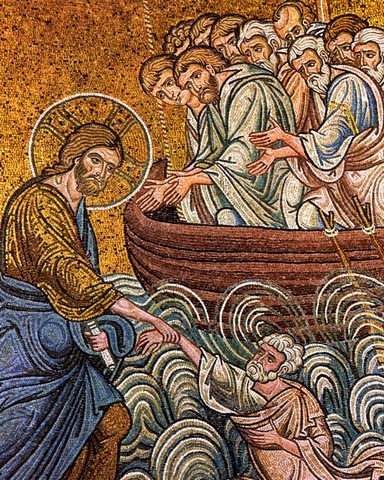 Do you agonize about whether or not something you've done is sinful, even when other faithful Catholics and even your priest assure you that it's not? Is your conscience so hyper-sensitive that you cannot find peace with God? If so, you might want to start reading up on a condition called scrupulosity. It is one of the most painful psychological states there is -- it can feel like hell to the sufferer. I was surprised to learn that Fr. Paul Marx, the late, great pro-life hero, suffered from scrupulosity as a young seminarian. He recounted in his autobiography that the agony of that condition was worse than any other pain he had suffered in his life (and he suffered an incredible amount of physical and psychological pain in his worldwide, decades-long mission to end abortion). I know from personal experience how devastating scrupulosity can be. A close family member of mine is scrupulous, and when things became torturous for her, intervention was needed. There is an understanding now that scrupulosity is one type of Obsessive Compulsive Disorder (OCD); recognition of that fact is how my relative was able to get her scrupulosity/obsessive thoughts under control. The relief is beyond description. Scrupulosity is incredibly harmful and can lead souls right out of the Church. Martin Luther suffered terribly with feelings of total depravity -- he could not feel "clean" no matter how many times he received absolution. His scrupulosity led to the formation of his doctrine of sola fide (salvation by faith alone) and the idea of "eternal security," i.e., that even grave sin does not jeopardize a Christian's salvation. So it's not a stretch to say that scrupulosity was a catalyst for the Reformation (which Catholics see as a tragic break in the Body of Christ). I'm not sure how or exactly when it started. I know I was still in grade school. I went to a Catholic school for 9 years. Sometimes we would go to Mass before school and I would take Communion like most of the other kids. In school we learned about sin -- venial, mortal, and the worst of all, mortal sin of sacrilege. I remember trying to grasp the concept of eternity in hell. Fire, forever, without end. This is what would happen to a person who died with mortal sin on their soul. I found the idea too frightening. We went through the Ten Commandments and the sins against them -- some of which I was too young and innocent to comprehend. Then one day on my way up to Communion, it occurred to me that maybe I had a mortal sin on my soul, but I continued to receive Communion. That's when it all started. I felt ill and had my mom pick me up from school. I spent the rest of the day with a knot in my stomach, worried that I had committed the dreaded mortal sin of sacrilege. Eventually I was able to dismiss the fact that I had done such a thing. But I decided that I wasn't going to repeat that episode. I know now that what I thought was sin at that time wasn't. But I was ignorant and unsure so just to be on the safe side I avoided Communion. We were expected to receive Communion every first Friday of the month so during the week we had Confession during school hours. I found myself confessing to numerous sins (just in case) because a bad confession was considered a sin of sacrilege. After Confession my mind would be bombarded with all kinds of things which I tried to fight but eventually I would decide that at some point I had a sinful thought, could not go to Communion, at which point the torture would stop. Then all I would have to do was be sick that Friday. Eventually it got to the point where I was "sick" all that week. I was embarrassed and ashamed because all my friends were receiving Communion on a regular basis. The struggle within me was pure torture and in that I felt totally alone. I told no one. I was too ashamed because it all seemed so crazy. I had no hope that anyone could possibly understand. Looking back, I wonder how in the world the priests who heard my confession didn't have a clue about my scrupulosity. It wasn't until high school that I heard anything about a scrupulous conscience. I went to public high school (freedom) but attended religious class once a week. The nun who conducted the class once referred to a boy who had to continue to go to confession because he suffered with a scrupulous conscience. It was then that I realized my problem. My friend never did come back to the Catholic Church, and is today an evangelical Christian. Scrupulosity is not a condition unique to Catholicism by any means, however, as Protestants, Jews, Muslims, Hindus and those of other faiths are affected as well. If you think you are scrupulous, there is help! First, understand that you have a form of OCD and it can be treated. Second, please read the monthly Scrupulous Anonymous newsletters and the "Ten Commandments for the Scrupulous" (along with the "revised" Commandments). Third, read the book, Understanding Scrupulosity: Questions, Helps, and Encouragements, by Thomas M. Santa. And fourth, find a spiritual director or confessor who has experience dealing with scrupulosity. It might be hard to believe, but with the help of others and God's grace, you can and will find peace. Painful is an understatemnt. I struggle with scrupulousity in a very serious way and it actually helps me to tell my confessor that I do realize I have this condition, so that he knows upfront the state of my thinking, etc. (This isn't so much of a big deal anymore becuase I see the same 2 confessors fairly regularly and they are aware of it). I go through spurts where this RULES my life and you are right, all I want is peace and will literally go to any means to get it - even if that means arranging my plans around confession times at the drop of a hat. I know God does not intend that I live like this and honestly, one of the books I read a few months back - Searching for and Maintaining Peace was an absolute gift from the Lord in helping me to deal with it. While not written for those dealing with scruplousity in general it really gets at the heart of it - needing to have absolute certainty ALWAYS and trying to find peace even in the midst of everything. It has helped me a lot. No, it wasn't a magic cure and I still have a long way to go, but some of the recommendations have been very beneficial. I recommend it to anyone struggling with scrupulousity or just anxiety in general. Like your friend, I have struggled with this since I was little and I am not sure why. I have never known anyone else that struggles with it - in person that is. Other things that have helped - regular confession times. Reminding myself that my DH and I go every Saturday and things can wait until then. Another thing is learning to trust my confessor and be obdient. He told me that if I EVER doubted whether or not I committed a mortal sin, meaning if I wasn't sure or not if it was a mortal sin, I WAS REQUIRED to go to communion. This scared me when he first said it, because I thought it was the opposite of what I should be doing - meaning if I thought maybe I committed a mortal sin I should be staying back from communion. He said that with scrupulosity - those that suffer are so far to the other side on the pendulum that they need to counteract it with steps to bring them towards the center. Now that I have read more stuff about scrupulousity, this line of counsel from my priest seems to be very much in line with what others counsel as well. By the way the Scrupulous Anonymous newsletters are awesome! Oh, and I can't help tying this back to the saints. A couple of years ago when I stumbled upon the Scrupulous Anonymous newletters, I realized they were a ministry of the Redemptorists, which were founded by St. Alphonsus Liguori. Guess what Saint's feast day is on my birthday - August 1st? Yeah, St. Alphonsus Liguori. I don't think that is a coincidence! :) So, if you struggle with scrupulousity, please ask St. Alphonsus to intercede for you. He is AWESOME! I apologize for writing a novel in your com box, but as you can see, this is one subject that way too close to home. Thank you for bringing it up and for posting the resources. Wow, great post, Leila. That is so sad about your friend still staying away from the Church even though she gained understanding of her scrupulosity. I have been aware of scrupulosity for a long time, but I don't think that I realized that it was a form of OCD. JBTC, thanks for sharing your experiences and thoughts. You never cease to amaze me and inspire me! Oh...I just reread my earlier comment and I am afraid my remarks about the pendulum probably need some further clarification (and yes, this is probably example #1 of why I am scrupulous...I worry that I gave people the wrong impression of my dear priest who is very wise). From what I have read about this condition and yes, I have found true in my own life - I think just about every sin I commit could possibly be a mortal sin. I have a hard time distinguishing between venial and mortal sin. In my head I do know the 3 conditions for a mortal sin, but in the moment, all that goes out the window and I convince myself that I did meet all those criteria. So yes there that horrible feeling - oh my, I did commit a mortal sin, but yet, that other part of my brain that kicks in and says "Are you kidding - you just ate a few more spoonfuls of cookie batter than you should have (I didn't get sick or anything), it wasn't a mortal sin of gluttony!" But then there is the internal tug of war and I usually want to go the more conservative route and not heap additional sin on my plate, so I would refrain from communion or try to get to confession before I went to mass. But as you can see this thinking can overcome your life. So, that is what my Priest was getting at - those kinds of back and forth struggles, so if in doubt - GO was his direction. I hope this makes sense. This is great information Leila and so important to bring to light. I also have a close family member that struggles with scrupulosity, but I've never seen anything formal on the topic, so these recommendations are perfect. JBTC, you are SO not alone! Even though you don't know anyone personally that struggles with it, I believe many people silently suffer. Thank you for your insights and honesty. Nothing that is brought to the light can have power over us, only if we leave it in the dark. You're awesome! Thanks for posting this. Scrupulosity can be so paralyzing. I would go a long time, sometimes months without receiving Communion for fear that something I did might have been a mortal sin. I also have always struggled to go to Confession... like it's a painful Sacrament for me? So that made it worse.... because I would constantly feel the need to go to Confession and dread it and want to avoid at the same time, and feel even guiltier if I missed Confession and stress about when I should go, is it a sin not to call and make a private appointment? etc. Exhausting. This is why I also just want young people to get balanced teaching on sin and Confession. I think so often catechists are so anxious to teach about the gravity of sin and really "drive the point home" that they actually risk fueling scrupulosity in a sensitive child. I appreciate this post. I can be prone to scrupulosity. I would not say that I feel tortured by it. However, this tendency can make certain issues that come up in life even more difficult to work through. As far as a spiritual director, I have never known a priest who had the time to be a personal spiritual director. The times that we have sought spiritual direction, we were sorely disappointed (re: my private e-mails to you). Anyhow, even though I had never seen before the Ten Commandments that you linked to, those are the kind of thoughts that I try to hold onto when I go into the Confessional. I bookmarked them, so that I can read them each month before going to Confession. Thanks again for your blog! Great comments, and I am so glad that JBTC, Mom2Seven and Sarah know that they are not alone out there! It's more common than one might think. But the suffering is so horrible. Sew, ha! Confession the bubble way... I hadn't thought of it. But, I do need to get to confession, so thanks for the reminder!! I had this more as a Mormon than I do as a Catholic. Maybe it was baptism or just finding the truth. Either way, I am grateful. I do still dwell on things, but eventually I can move past them. I always just thought it was GUILT! I don't think that I have a problem with scrupulosity, but I know that I have an unnecessary fear of going to confession (I didn't go for the LONGEST time and I was so afraid when I finally went. The priest was so understanding and I've tried to go more frequently, but I know I have to go more than twice a year!). I have such a large helping of Catholic guilt that it drives me nuts! Hopefully how that I know about scrupulosity that I will be less guilty! Or, I could do a post about my own personal confession, ha ha ha! You can write my name all over this post and put my picture next to the word in the dictionary. For a long time, I didn't know that there was a name for this! I thought it was just an extension of my anxiety and OCD. At one point, I had anxiety so crippling that I became agorophobic (not leaving the house) and dropped out of college and h ad my sister drive me everywhere for several months. I worry (and still do) that I abuse the Confessional. I've gotten to the point where I go so often that it isn't really nerve wracking anymore, but I worry that I am "over confessing" if that makes sense. And some of the things aren't necessarily spiritual issues or sins but anxiety. I have always felt like my sins were harder to forgive. Like, if someone had the same fault as I did, God would forgive them easier than He would me. I've always felt like that to the point of it becoming damaginng to my relationship with Christ and others. The MINUTE a serious sin or situation arises, I can feel it physically and emotionally. Things just fall apart after that until I get myself back to Confession. And hearing you describe it as a form of OCD is absolutely right. I had never really realized it but it is. And it can be so damaging when you are trying so desperately to be the saint in the making God wants you to be b/c you never ever feel worthy enough, even after Penance has been done. Great post, Leila. Something we don't hear much about. I hope the topic makes a comeback. Father Santa's book on scrupulosity was the first book I read and many of the issues if not all, describe me perfectly. I struggled with these things not too long after my conversion and didn't have a name for what it was until reading his book. I do find it helpful to tell the priest in confession that I am scrupulous but only a few take it seriously enough to guide me through my confession. I definitely have a tendency toward being scrupulous-but am thankful it has never amounted to the gravity you described. My problem is with fear of past sins. I committed many sins that I KNOW were mortal and I always wonder "Did I remember to say how many times I did that?? "I know I said sin A, but did I say sin B?" "I know I confessed it once, but did I ever do it again after that confession??" I'm talking like 8-9 years ago-I'm still worried about it at times. The best thing I ever did was make a general confession with a priest from EWTN. He did it question answer style and told me to just say "many times" if I couldn't remember how many times. It was wonderful. He reminded me that it was over-I was forgiven-there was no need to keep confessing these same sins over and over again. And he explained how confessing the same sins over again is doubting God's mercy. Praise God! I got my life back. Kaitlin, I am so glad you mentioned general confession! I did one, too, and it was the greatest thing ever! And a very holy priest (former atheist) was the confessor. I hope to be able to do that again some day. It was on a retreat and I rarely get to those. Any advice on helping a friend with this? Do I ignore it? Priest's wife, I wouldn't ignore it. I think it's so excruciatingly painful that any type of relief or information or understanding would be helpful. Scrupulous people feel very alone, very isolated. I know I am very late commenting on this (I'm a new follower! ), but I wanted to thank you tremendously for this post and especially for the link to the "Ten Commandments." I've been struggling with this for years but never really knew how to put it into words. Reading through the commandments, my mouth just dropped open -- it's like the author was inside my head! Be assured that you've helped yet another poor soul to not feel so alone in this suffering. Thanks so much for such an interesting post. I have to be honest, when JBTC was blogging about her pains and anxiety with scrupulosity I was having a hard time understanding what exactly it was and how she was suffering, I wish I had soemthing like this to refer to so I could have maybe offered some better advice. I definitely suffered from not being able to let go of past sins (not quite scrupulosity)but after a general confession with my dear priest I have finally been able to let them go. http://www.chastitysf.com/q_scruples.htm has a detailed discussion on scruples, FYI. I know this is an old post but I just happened upon it. 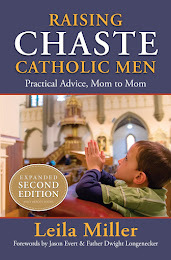 I have struggled with this for years and finally heard the author of one of the books you mentioned on CAtholic Answers a while back. I got the book and it changed my life!! btw - we are a homeschooling family with 10 children and I really enjoy reading your blog. God bless you! Having had this problem as child attending a catholic school I am still amazed it isn't more prevalent. If you tell a child all the things that will condemn to eternal fire and agony. I have never had OCD and if you consider the logic of someone obsessed with this worry you can't help but judge the "condition" is quite logical and the fact that the rest of "ordinary" people don't obsess seems to indicate they don't really believe their own religions teachings. Gannon, sorry, but I disagree. If you teach a child to fear drowning, or fear touching a fire, or fear getting into a car with strangers, and he then becomes obsessed with fear of water, or fire, or getting into a car with strangers, to the point that it interferes with this life's functioning, then there is a problem. That is not a healthy reaction. It does not indicate that those with a more healthy reaction somehow don't believe in drowning, burns or kidnapping. I agree with Gannon. You can't possibly compare the pain of drowning or fire, which will be over in minutes, to hell, which is agonizing, unendurable pain which must be endured for eternity. Death is infinitely less frightening than hell, and for fear of hell to "interfere with this life's functioning" is perfectly reasonable. "This life's functioning" will be over in the blink of an eye, after all, and then it is all unspeakable torture that will never end. If you are a Catholic who *actually believes in all this stuff,* how can you not go through at least some form of scrupulous suffering at some point? I know that as a teen I went through some actual scrupulosity, but some of my crippling terror was based on perfectly orthodox Catholic teaching, or at least my understanding of it. To this day I suffer from haunting doubts about God's love for us. I just found this post on your blog and my jaw dropped. My dear Mom, 74 years old, has suffered from scruples her whole life. I am fearful, that I too, suffer from it. I am constantly troubled that I have committed a mortal sin or not - can I go to Communion? Well, I am not sure if I committed one or not so I don't go. If I go to Communion, but do not go to Confession first, then that's another sin. I am also fearful of confession. I also am troubled whether or not I confessed sins that happened a long time ago or not so what do I do? Confess them again and again! Is that scrupling?? Also, if a bad thought jumps in my head, yeah, I think that is a sin too. Yeah, I probably suffer from scruples too. Ever since I was a little girl, I remember my Mom talking about it. She couldn't go to regular confession - she had to make appointments to see a wonderful and gentle Priest in Boston. I remember when he died - my Nana (Mom's Mom) came to the house and told her he had died on the altar while serving Mass. Mama cried and cried. Scruples is catching. You caught it from your mom, probably. Please read a wonderful book called Pardon and Peace. Also, Communion removes sin, even mortal sin. IF someone knows with perfect clarity and absolute certainty, that they are in the state of mortal sin, and they receive communion, they are committing sacrilege (assuming they know about sacrilege.) BUT if they receive communion in a state of confusion with good intentions, sin is taken away. If you are not sure you committed a sin, assuming you did not, is actually the right choice. A saint, I think St Alphonsus Liguori, said if you commit a mortal sin, you will know for certain. If you are not sure, than it is not mortal. He says a true mortal sin is such a monster that you will know it. If you are scrupulous, then, when in doubt, you are innocent. There is absolutely no sin in actin on this principle. Rivka, while I totally agree with your assessment of Maria's particular case (Maria, you are not in mortal sin, and you need to find a good confessor who understands scruples and obey him in what he tells you), we have to be very careful about this type of statement: "Communion removes sin, even mortal sin." If a sin is truly mortal, subjectively as well as objectively, then Communion does not remove that sin. Communion remits venial sin ONLY. If a communicant is truly not aware that he has committed an objectively mortally sinful act (if one of the conditions for mortal sin culpability has not been met), then he is only guilty of venial sin. And venial sin is forgiven by reception of Communion. However, the statement you made is not accurate… at best it is misleading. So, I'm just saying that we must be VERY careful about this type of statement, because although this is a sensitive post that is read by many scrupulous folks, there are many other non-scrupulous people reading as well. I have suffered from ocd nearly my entire life. I can attest that while I did not suffer from scrupulosity, there have been times when my anxiety drove me away from my faith. I used to say empty prayers just for the sake of saying them (so that bad things wouldn't happen). Being Catholic can be very difficult for those with ocd, because there are so many ritualistic activities within our faith. Many times, when a person begins treatment for this condition, they reject all forms of ritualistic behavior. i.e. 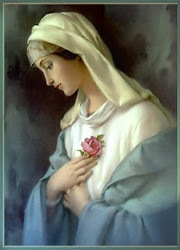 there were several years where I could not make myself say a rosary because of the repitition. Also, many who suffer with ocd struggle with constant guilt (often over nothing). This can be grossly misunderstood by those who do not understand the disorder. My father told me guilt happens for a reason and that I must have done something sinful and not realized it. not helpful. I have experienced much healing in this area of my life, and I have had to learn to accept that I have certain limitations. Others may think differently of me because I simply can't say the chaplet of divine mercy, but they don't know the whole story. This journey has really taught me about how dangerous it is to judge people. Many people have judged me, and only I know how mistaken they are. How could I cause someone else to suffer in this way? My prayers for all who struggle with anxiety - a very painful and misunderstood condition. Blessings to you all! What a great post! You captured the pain of scrupulosity well. I have OCD and one of the manifestations is scrupulosity. 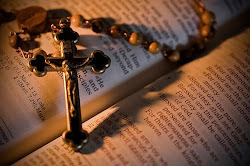 I suffered in great pain for years, but upon to converting to Catholicism, and working with a gifted confessor, I am happy to say that the condition is controlled. However, my 7 year old recently begun exhibiting terribly painful signs of scrupulosity. I know cognitive behavioral therapy well, but that's tough for a kid. My husband is also a psychiatrist. Does anyone know of a book geared toward kids? I have read Fr Santa's work (awesome)! If anyone knows of a book for kiddos, I would appreciate it. Excellent post. There really is no "solution" as everyone is different. Mine is bad enough I stopped taking communion eight months ago. I actually feel free of it now. It's sad but I just can't take the anxiety. I was having horrible panic attacks all the time. It was either not take communion or leave entirely. I tried talking to various people but no one knows anything about it so I quit asking. I can't afford to pay a spiritual director and work full-time so I go to Mass and leave during the offertory hymn. I find that it works for me and, sadly, I don't miss Communion at all because of the insane anxiety, panic attacks, and freaking out that made it insufferable. Hi Rosary Girl! Your post makes me so sad. No way does Jesus want you to leave mass (it doesn't even count if you only go till the offertory), nor does he want you to be deprived of the Eucharist. I hope you will seek help for what is surely an issue of OCD (treatable). Spiritual directors do not take money, by the way. I hope you will follow through on some of the links and suggestions on the post. I am praying for you, my sister!! I should have mentioned that therapists do know about how to deal with anxiety and panic attacks, so they can do that part of it, and a spiritual director (free) can help with the spiritual side (you can talk to a priest who has experience with penitents who have scrupulosity). And a family physician can help you with any meds you might need to deal with OCD, anxiety and panic attacks. A combination of things. You shouldn't have to live like this. I hope you can find the help you need. Don't give up! 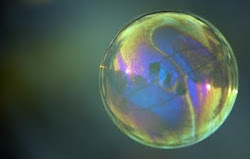 Bubble in Spanish!! So funny! "We don't make determinations about who we love." Bible in the Bubble! Name that scene! A new blog to introduce! Is suffering worse than death? Part One. A perk of having a blog!